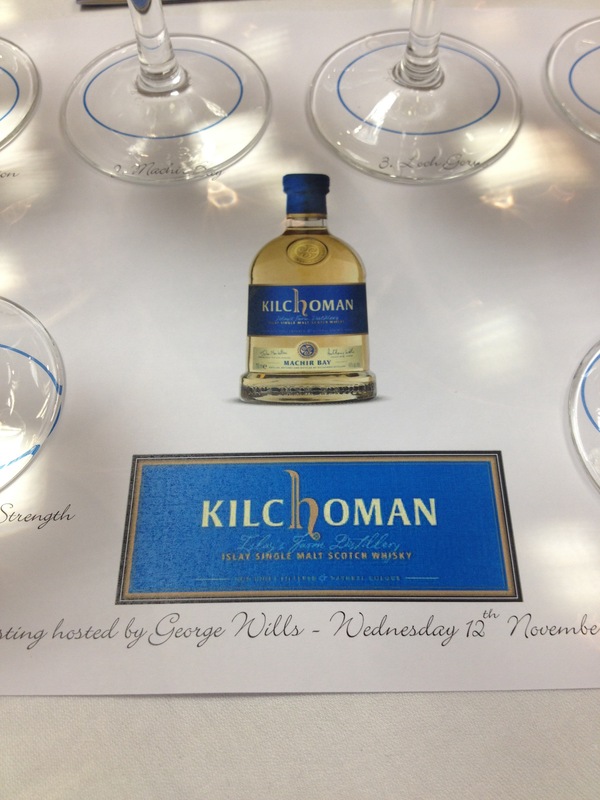 To be completely honest, Kilchoman isn’t at the top of my list of favorite whiskies. There’s just too much other stuff on Islay alone which gets my interest. Id never been over enamored with the distillery on my visit several years ago. Although set on the rugged west coast of Islay overlooking Loch Gorm and a stone’s throw from Machir Bay, it just isn’t steeped with history, whitewashed walls and block lettering on the side like I was used to seeing on the island. However, I approached this tasting evening with an open mind. Hosted by George Wills, one of three sons of former independent whisky bottler and founder Anthony – all who play a role in Kilchoman. For those of you not in the know, the distillery started out in 2005 using some old farm buildings (to blend into the Islay countryside) and was the first new distillery to be built on the island for 125 years. Generally speaking, their whiskies are from casks between five and six years old. They do have older casks, but obviously need to preserve their stocks for the future.